The Amsco Renaissance window uses a composite mainframe and sash that utilizes a combination wood and vinyl resin to produce the frame and sash. In general, composite windows tend to be a mixed bag in terms of overall aesthetics and performance. One plus for composites is that they can be painted, which is a nice option over vinyl, although this might mean more work for you down the road when it comes time to repaint. Standard features on the Renaissance model include a beveled frame, accessory groove, mitered corners, a fusion welded mainframe, an Intercept spacer, and a 7/8" insulated glass unit. The window comes in six exterior color options, including almond, white, taupe, autumn red, evergreen and bronze. On the interior, the window comes in a pinewood veneer. Veneers or laminates allow for the look of wood, without the considerable maintenance that real wood entails. The Renaissance composite can be ordered in a double-hung, picture, casement, awning, horizontal slider, round top and as an arch top. Consumers can expect Amsco Renaissance window costs to run $60 to $70 per square foot for the window itself. Comparable windows include Andersen 100 series cost. In terms of performance data, the Renaissance scores decent. With the standard low-e glass package, the double hung will deliver a .31 U-factor, .24 SHGC, and a .42 visible transmittance. Upgrading to the better glass package will improve these numbers to a .26 U-factor, .21 SHGC and .37 VT. The first set of numbers is pretty ho-hum, but the upgraded glass numbers are solid. This performance data comes from the National Fenestration Rating Council, which posts performance data on hundreds of window manufacturers. The Amsco Renaissance offers a limited lifetime warranty for the original purchaser on both their windows and patio doors for any product made after July 1, 2009. It covers defects in the manufacturing process for materials or workmanship for all of its vinyl windows. 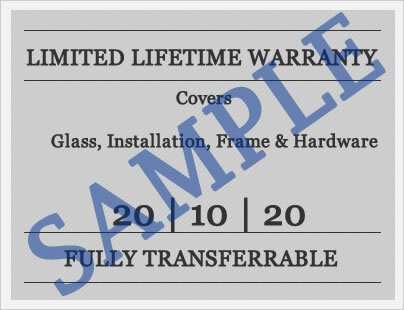 The warranty is transferable, however the new owner is covered for only five years from the date of purchase. Do you have an Amsco Renaissance window review to share with other consumers and homeowners? Submit your reviews and let your voice be heard. Questions on the quality, options or pricing on Amsco Renaissance windows? Let Jim and John answer your most pressing questions and get the answers to your questions quick and easy. 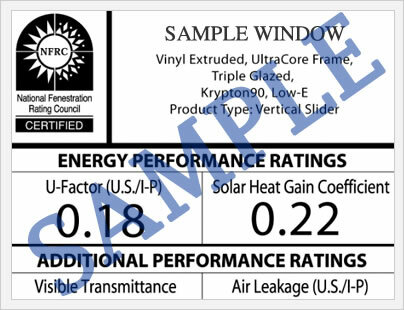 We are purchasing Amsco Renaissance windows in our new home, can you tell me what the U-Factor rating is for these windows. In terms of performance data, the Renaissance scores decent. With the standard low-e glass package, the double hung will deliver a .31 U-factor, .24 SHGC, and a .42 visible transmittance. Upgrading to the better glass package will improve these numbers to a .26 U-factor, .21 SHGC and .37 VT. The first set of numbers is pretty ho-hum, but the upgraded glass numbers are solid. It isn't the best composite frame window out there, but it isn't bad for the price. I actually think the best bargain out there for a composite window is the Andersen 100 series from Home Depot. I think the prices are great, although I wouldn't use their subcontractors. I'd suggest going with a local installer who gets good reviews on something like yelp or angie's list.